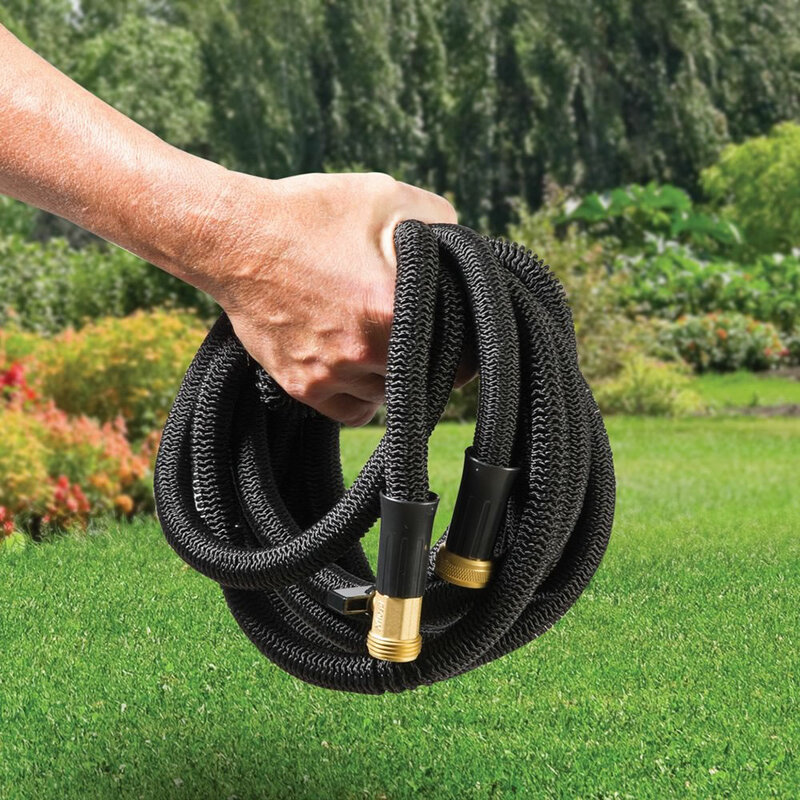 This is the auto-contracting/expanding hose that earned The Best rating from the Hammacher Schlemmer Institute because it contracted faster, was the easiest to use, and was the most durable. 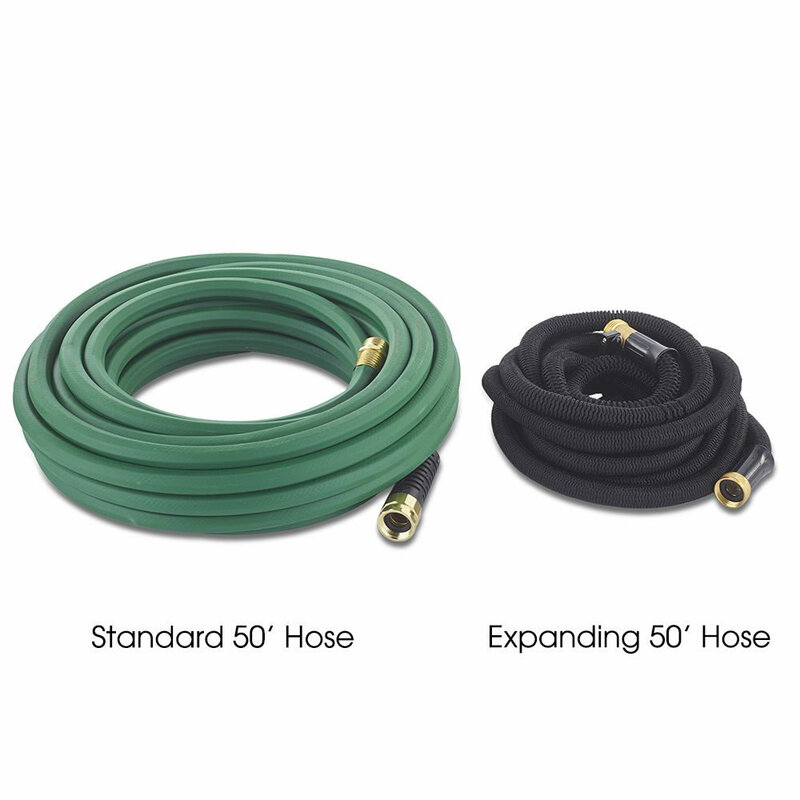 Using water pressure to automatically expand and contract to 65% the size of a typical hose for convenient storage, The Best Contracting Water Hose’s winning durable construction includes a multi-layered 3/4" tubular latex inner-diameter hose that generates robust water flow and an outer covering made from strong nylon webbing that endured being dragged over asphalt, rocks, and cement garden borders repeatedly without tearing. 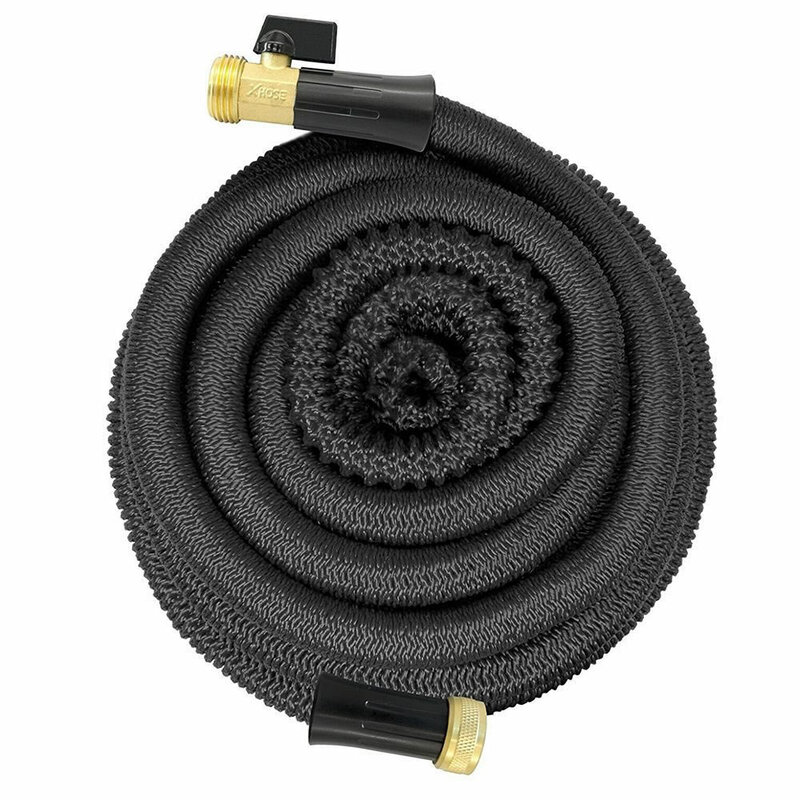 The Best Expandable Garden Hose’s patented design includes solid brass fittings and an integrated valve.